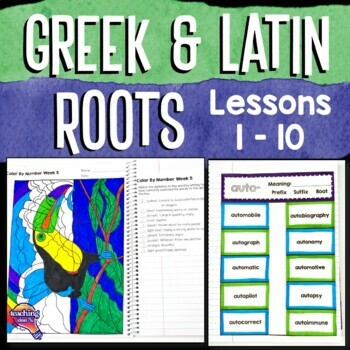 This is a complete 10 week morphology study of Greek & Latin word parts (prefix, suffix, and roots.) I personally use this for both vocabulary and spelling. 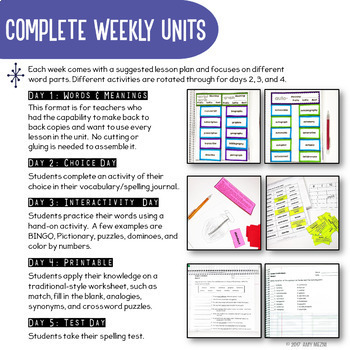 I found that having separate word lists was often overwhelming for students, so I wanted to combined them into one list. Each week features 1-2 word parts and 10 vocabulary words. These lists could easily be cut to fewer words. Week 10 is a review week. In addition, I spiral previous words into the hands on activities in order to keep those words "fresh." This unit was design with grades 4-5 in mind. It would also work well in grades 6-8, but I am not sure that it would work as well in 3rd grade. 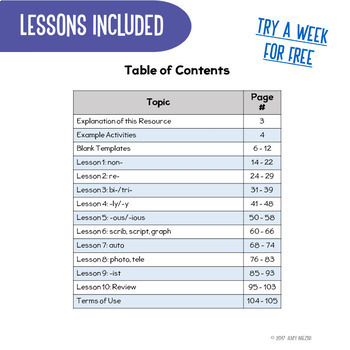 The first week is FREE and can be downloaded HERE in order to see if this unit will meet your needs. 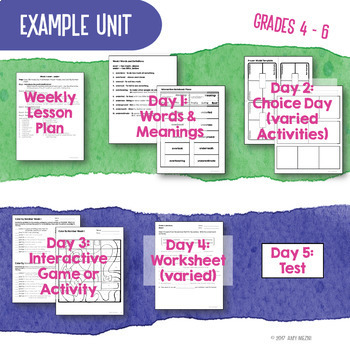 Units 1- 4 are available in a 40 week bundle. Buying the bundle save 20% over the cover price of each quarter. The bundle can be found HERE.